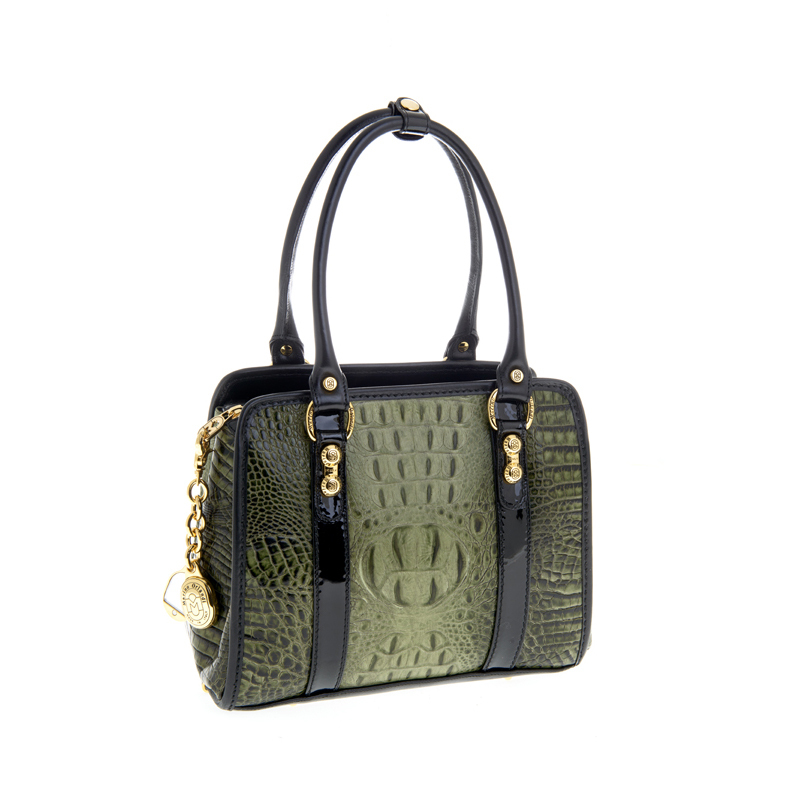 The elegant Class Line collection bag pays tribute to the traditional savoir-faire Marino Orlandi. A city bag that turns out to be perfect for work, thanks to its size to hold various documents and dossiers. The green crocodile alternating with glossy black inserts gives a touch of unsurpassed quality.